Edith-Anne Pageot is a Professor of the Art History Department at the University of Quebec, Montreal. She is an active member of l’Institut de recherches et d‘études feminists (IREF) and of the Centre de recherche sur la littérature et la culture québécoises (CRILQ). She is also an auxiliary professor and member of the faculty for post-doctoral and graduate studies at the University of Ottawa, where she taught between 2002-2015. She was awarded for teaching excellence in 2013. Dr. Pageot specializes in Canadian and Quebec modern and contemporary art. She is interested in questions surrounding historiography and the politics of identity in Native and non-native art. She is currently leading a research project entitled, La culture artistique au Collège Manitou. Agentivité et stratégies d’autodétermination. This research is supported by UQAM’s New Orientations Program and by the Social Sciences and Humanities Research Council of Canada (SSHRC). In the Western tradition, the self-portrait has been a tool for self-promotion, visibility, and self-celebration. It has also provided a critical space within which to destroy stereotypes, as, for instance, in the transgressive self-portraits by Claude Cahun (Lucy Schwob), Frida Kahlo, Egon Schiele, Vincent Van Gogh, and Cindy Sherman, among others. Gustave Courbet painted dozens of self-portraits between 1840 and 1855, and said that, considered as a whole, they chronicled “the story of my life” (Nochlin 1967, 217). One of his last self-portraits, The Meeting (La rencontre, 1854, Fig. 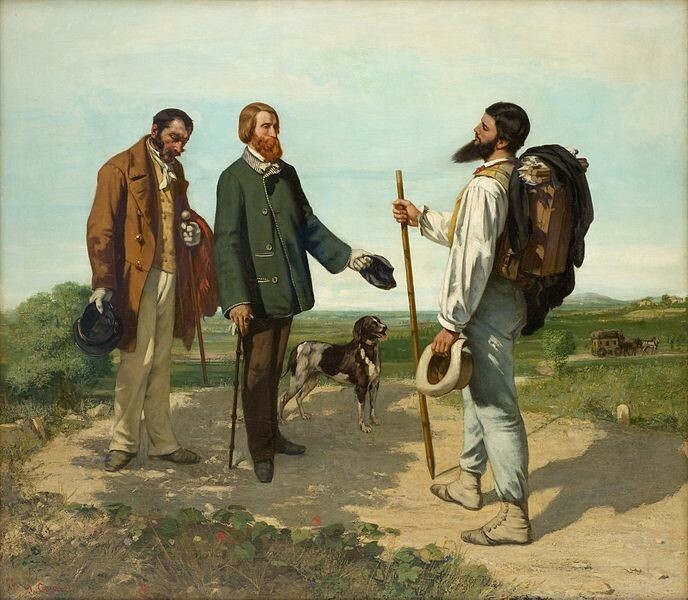 1), which was inspired by the popular print The Wandering Jew published in Champfleury’s Histoire de l’imagerie populaire, depicts a meeting between a wandering Courbet and his patron Alfred Bruyas. The metaphor of the wanderer certainly corresponds to the vision of an artist’s humanitarian and “messianic” role that Courbet assigned to himself in the quest for a new social order (215). But does the nomad, that is, the one who is on a voyage of self-discovery and on a quest to meet the Other, not also strongly evoke the evolutive and relational “nature” of subjectivity, and the plural and historical aspects of identity? In spite of their differences, many contemporary thinkers converge toward the idea of politically and culturally constructed subjectivity and identity. Michel Foucault’s materialist ontology studied the regimes of power – knowledge networks of discourses and disciplines that mould identity formation (1966). Emmanuel Levinas’s religious philosophy suggested a view of the subject that constructs itself in a network of relationships to the Other, through a “process of alterity” (1989). Jacques Derrida put forth the idea of an “I” encased inside a network of language (1990). The notions of mixity and hybridity that emerge from these concepts repudiate the idea of a homogeneous “I” that might be linked to “race,” to a presumed ethnic or cultural purity, whether fixed or of primordial origin. In so doing, they evacuate all forms of essentialism and inalienable truths. Thus, if we admit that identity and subjectivity are embedded in interconnected discourses, the idea of a prior subject, an autonomous or disengaged “I” is untenable. However, a complex mediated “I,” produced by contingent historical processes, constantly under construction and moulded by subject encounters (as in Courbet’s self-portrait The Meeting), does not necessarily renounce the notion of subjectivity. Subjectivity refers to a subjected “I,” but it can also stand for an active subject, retaining the potential for political agency. Emerging from the field of feminist psychology, models of relational subjectivity consider that “our very subjectivity is constituted relationally, in the relation between conscious and unconscious, semiotic and symbolic, self and other; also in our various political identities that we hold simultaneously” (McAfee 2000, 129). Based on Julia Kristeva’s understanding of subjectivity as an open system, a “subject-in-process,” Noëlle McAfee suggests that relational subjectivity “can embrace alterity as a precondition of subjectivity” (1998, 180). Therefore, relational subjectivity entails a specific understanding of the political community: “Our heterogeneous subjectivities call on us to call on others whose partial knowledge can complement our own partial knowledge (…) the key is for people to recognize their relationality and use it to address common political concerns” (1998, 184). Moving away from an autonomous and individualistic paradigm, relational subjectivity may outstretch the strict economic logic1 and move toward a “complementary agency” (McAfee, 184), which might lead to (re)considering and reconceptualizing of ecological and, paradoxically, spiritual aspects of subjectivity. This article analyzes the ways in which relational subjectivity provides a conceptual framework within which to examine the writings of Domingo Cisneros (1942–), a Canadian artist of Mexican origin with Tepehuán maternal ancestry. It contextualizes and analyzes the different literary processes, motifs, and themes through which the artist’s “personages” are negotiated. I want to suggest that these various “personages” function as alter egos and are used to express the valorization of the ontological and spiritual dimensions of an aesthetic and a relational identity deeply rooted in the sensory experience of the land. I argue not only that Cisneros’s exploration of the land, his experience of the wanderer, served to develop a complementary agency through an epistemology that gave him recognition among Native contemporary artists, but that it was also through the sensory experiences of the Boreal forest that he could make sense of his presence in Quebec and hyphenate his Canadian, Mexican, and Native identities. Recent studies of diaspora aesthetics point out the important role of sensory experience in negotiating and crafting transnational identities. According to Werbner and Fumanti, a diaspora aesthetic is “popular, sensual, materially embedded in aesthetic performance and objects” (2013, 155). While Cisneros did not deal directly with Quebec or Canadian vernacular culture, he still “appropriated” a local space and imbued it with transnational aesthetics through a sensuous presence rooted in local territories and stories. After 1996, Cisneros was far less active on the Canadian art scene as a visual artist. He did, however, realize a few installation projects closely related to his ecological and sociological exploration of the land:3 Paroles de Lauzes (Parc naturel des Monts d’Ardèche, France 2001), the exhibition La Reconquête: Enfer, Purgatoire, Paradis (Centre interdisciplinaire Le Lieu, Quebec 2008) (Pageot 2009), and later the same year, with Sonia Robertson, he conceived an ephemeral installation in situ entitled, Wampum 400 (Bassin Louise, Quebec) (Pageot 2012). Cisneros’s artist declarations and short articles, while relatively few, make up a sufficiently coherent whole from which we can identify a singular positioning. Cisneros wrote most of his texts in Spanish first, but sometimes in French or English. Since a number of his writings in Spanish have been translated into different languages, many published and unpublished versions exist. Although I take these different transcriptions into account, the quoted passages are from published versions in journals and exhibition catalogues dating from 1977 to 1996. My analysis is based on these texts, on interviews, and on the study of personal archives and unpublished notes that he generously made accessible to me. I thank him sincerely for this. Cisneros was born in a funeral parlour in the large industrial city of Monterrey in Mexico.4 He spent most of his childhood in Durango, where he studied with the Franciscans and worked as a projectionist for an uncle who ran a small private cinema. Cisneros eagerly watched arthouse cinema: Bergman, Buñuel, Eisenstein, Godard, and Truffaut fed his imagination. He began studying architecture at university, but abandoned that program and enrolled instead in cinema studies. In 1966, he left his family and undertook a months-long solo pilgrimage on foot. He started in the north of Mexico and walked south, down to Guatemala, through Tapachula (in the state of Chiapas, one of the poorest in Mexico). This trip marked the beginning of a long personal quest during which he sought to renew his links with his maternal Tepehuán heritage. As in most communities of the dispossessed, Cisneros’s travels often brought him in touch with poverty, homelessness, and violence. In Guatemala, he witnessed repression by coercive regimes. He told me that one of the leaders of the Mexican student movement was kidnapped and impaled. Because Cisneros smuggled photographs of this torture out of the country, he was suspected of being involved with the guerrillas. He was arrested and tortured. When he was released, he was escorted to the Mexican border, and from there he made his way back north. Soon thereafter, the rise of Gustavo Díaz Ordaz’s repressive government, which culminated in the massacre of demonstrators assembled at the Plaza of Three Cultures, forced Cisneros to flee Mexico. He arrived in Quebec on 20 December 1968, in the middle of a political crisis. The members of the Rassemblement pour l’indépendance nationale (RIN) and of the Front de libération du Québec (FLQ) were fighting for a “Québec libre.” Together with his partner, the US author Wanda Bynn Campbell, Cisneros opened and managed the Hô Chi Minh bookstore at 72 Prince Arthur Street, at the corner of Saint-Dominique Street in Montreal (Quebec, Canada). At the beginning of the 1970s, Cisneros and Campbell left the city and set up home in La Macaza, a village located approximately 170 km north of Montreal. Cisneros had been offered a professorship at the Collège Manitou – he would soon become director of the department of Arts and Communications – and Campbell also taught there. From this moment, until their separation in the mid-1990s, Campbell and Cisneros actively supported the demands and initiatives for self-determination of Indigenous artists in Canada. After he had withdrawn from urban centres, his exploration of “untamed places” (Cisneros 1987) focused on the study of the natural and cultural dimensions of the rural territories across which he had walked. In an interview published in 1981 in the journal Leftwords, Cisneros explained the importance of walking to him. Be it a biological and environmental necessity, an elemental force, or a fertile embrace, mixity seems to define creation for Cisneros, not as a representation, but as a presence and a sensory process, a gesture of fundamental and incarnated hybridization. This phenomenological understanding of art, soon to become also ritual and spiritual, can be found in both the visual and the literary production of Cisneros. At a formal level, his artistic writings as a whole constitute a mixing of different literary genres: the artist’s declaration, the fable, the essay, and free verse. We often find different levels of discourse – parody, irony, pseudo-scientific discourse, and fable – juxtaposed within a text. This is the case, for instance, in the Laurentian Bestiary, where different modes of enunciation – including the anonymous narrator, the “we,” the “you,” and the “I” – overlap. In what follows, I will examine these different modes of enunciation by looking at two series of texts: the Laurentian Bestiary7 (1988) and Mitchi (1990). The tales in the Laurentian Bestiary relate to twelve sculptures created from assemblages of found natural materials and animal carcasses left by hunters in the boreal forest. The animals, which bring to mind the practice of taxidermy, inspire a reflection on the dichotomy between life and death, and bring together the aesthetic experience and the human experience. The project as a whole looks critically at the inevitable alienation wrought by industrial society and its complicity with the destruction of the environment. The bestiary’s captions, however, describe a new mythical order. The tales reveal the ways in which the animals protect, sometimes ferociously and sometimes cunningly, a local territory that is threatened by industrialization, capitalism, and positivism disconnected from spirituality (Blouin, 1988). Cisneros attributes spiritual and emotional characteristics to the animals, making them half-animal and half-human. This is the case, for instance, with The Beast Who Came from the Rockies, who “is attracted by the singing of children with whom he would like to become friendly, but the kids usually flee in horror, fearing attacks” (34). The story of each animal is incorporated into a semantic network that links it to a specific locale and territory. In numerous texts (The Beast of the Rouge Matawin Faunal Reserve, The Cold Nature Beast from Papineau-Labelle Park, The Beast Who Came from the Rockies, The Devil River One), Cisneros uses personal and possessive pronouns. The “I” accompanies affirmative verbs – “I observed,” “I’ve discovered,” “I saw” – in order to indicate a certainty based on lived personal experience: “I had a number of opportunities to observe,” “My own experience confirms,” “My own personal experience leads me to comment” (Laurentian Bestiary 1988). Within a single text, he can parody the tone of the scientific narrator, that of the storyteller who describes popular beliefs and prejudices, and the voice of the artist, who intrudes suddenly and thus rattles, contradicts, or places doubt on the proposed interpretations. The author thus recreates new interpretations from old ones, and gives voice to intuition in light of concrete experience. Similar themes and strategies characterize Mitchi, a text that was published as part of the project Écart: Art Aventure, a group expedition to Lake Mitchinamecus in the Upper Laurentians (Quebec, Canada). This project coincided with the Oka crisis8 of the summer of 1990, during which the Kanienke’ha’ka Nation (Mohawk) came into conflict with the federal and provincial governments. Like many other Canadian artists, Cisneros was profoundly moved by the confrontations and the unfortunate militarized ending to the crisis. Three short political texts show his sympathy toward the community of Kanesatake: The Trail, Écart, and Mitchi. The latter is the story of a fictional character of the same name, a sculpture that Cisneros made out of tree branches that he found in the forest and assembled with ropes. Every day, Cisneros moved the fragile character around a site for his project Écart. He imagined an entire story for Mitchi (including a temperament and geography), according to which he was born from the banks of Lake Mitchinamecus, whose name means “big trout lake” in Cree. Mitchi celebrates collective societal values and denigrates individual property: Cisneros describes “his total lack of respect for privacy and personal property” (34). Polluting human activity has left Mitchi’s body disfigured and twisted: “His body shows acid scars and thrombosis roots.” The text evokes an identity that has been alienated and wounded by the politics of cultural assimilation and by the violation of land, goods, and people: “Sometimes he murmurs about forked hearts, twisted history and burnt patience.” Mitchi, just like the animals in the Bestiary, is motivated by a feeling of rage toward the impact of pollution and the schism between the human and animal worlds. Rage also animates the beast in The Storm Visitor: “The rage in his eyes is so scorching that it can cause severe burns, even from quite a distance” (30). This feeling of rage (la rabia) is a recurring one in Cisneros’s works and can be found in many of the other projects he worked on in both Mexico and in Canada. Moved by an endemic promptitude and by a spirit of revolt fiercely opposed to the ruling bourgeois values and to authoritarianism, Cisneros has often been the instigator of subversive and agitating gestures. As an architecture student at the Nuevo León University (from 1959 to 1961), he created the literary and artistic movement La rabia. In Monterrey, he opened one of the first alternative galleries,Galeria la rabia. And together with Ricardo Martinez,9 he founded a journal bearing the same name. The theme of rage is not trivial, nor is it secondary in his work. Cisneros sees rage as an antidote to immobility. It expresses feelings of revolt, exasperation, and a desire for change. It leads to uncompromising audaciousness. Cisneros conceives of these morbid urges as a constitutive part of creation. Intuition, drive, and the need for radical action – the opposite of disincarnated Cartesianism – define his literary and artistic creative processes. Rage also inspired his sculptures Grito (1977), Grief (1982), and Ululations (1990). In 1992, Cisneros presented his installation Quebranto at the National Gallery of Canada (Ottawa). This Spanish word means a loss or lamentation, feelings that characterize the skinned animal figures. Their cries, their torment, and their distress express a psychic state marked by disconnection from the land, and anger. With the horror, though, are intermixed revolt, resilience, and survival. Apart from the rage they all feel, Mitchi, the animals, and the artist share the land they inhabit. The geographical area that these creatures populate and in which they roam corresponds to the region of the Upper Laurentians, where Cisneros lived, worked, and wandered for close to twenty years. These fictitious creatures function as the artist’s alter egos. The alter ego relates to the transformation of representations of the self through a cognitive and affective process of construction of meaning. It is more strongly performative in nature than the narrative and mimetic “self-portrait.” This figure of metamorphosis and of dialectic exchange acts as an ever-changing double. For Cisneros, the alter ego renders visible unexplored dimensions of identity : animality, ecology, and ontology. These dimensions are even more distinctly affirmed in other texts,10 most notably Deathwatch. Deathwatch was first published as an accompanying text in the catalogue for an exhibition held from 3 April to 2 May 1981 at the Charles H. Scott Gallery, Emily Carr College of Art, in Vancouver (Canada).11 The exhibition featured Cisneros’s sculptural work as well as an acoustic environment entitled Cordillera created by Hildegard Westerkamp from poems by Norbert Ruebsaat. Unlike Bestiary and Mitchi, Deathwatch does not directly relate to the sculptural works in the exhibition. It is instead more of an artist’s declaration in which Cisneros describes the figure of the artist and his or her social role. These formal characteristics seem clearly inspired by Nahuatl poetry, a language spoken in Tenochtitlan before its extensive destruction by disease and conquistadores in the sixteenth century. Nahuatl is a court language belonging to the Uzo-Aztec family. It was celebrated by the poets of Tezcoco, Huexotzinco, Chalco, Azcapotzalco, Tenochtitlan, and Tlatelolco (Launey 1994). Nahuatl poetry was accompanied by music and dancing and was often sung. As Patrick Saurin explains, the word Nahuatl refers to two metaphors: floral blossoming (in xochitl) and singing (in cuicalt). The appellation Nahuatl thus “ne dénote pas une activité, mais une anthèse spontanée, un instant éphémère de beauté et de vérité symbolisé par la fleur et le chant” [does not denote an activity, but a spontaneous anthesis, an ephemeral instant of beauty and truth symbolized by the flower and the singing] (15). Cisneros’s text is comparable to such a “spontaneous anthesis” and expresses a fleeting and existential emotion that is inherent to creative fecundity, thus reiterating the idea of fertile hybridity. Just like in Nahuatl poetry, anguish and beauty coexist in Cisneros’s poetry, and references to death are ubiquitous. Macabra luna, macabro sol. Sonajas de cuerno y pezuña, mímica de colmillos. Fuego de pieles, incienso de huesos calcinados. El espejo que hace relucir las cosas, la imagen de más potente fuerza. Quetzalcoatl, “Feathered Serpent” (left) and Tezcatlipoca, “Smoking Mirror” (right). Aquí está un hueso para tu nagual perdido. Ya tienes las raíces de pinabete, la cola de lobo, los sesos del oso. Un corazón de hueso por tercer ojo, eso quieres. 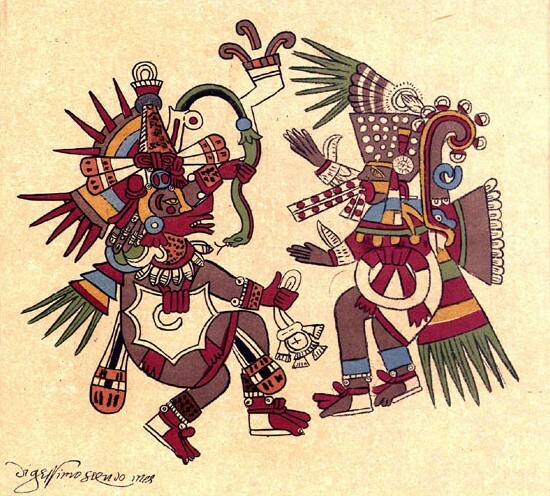 There is some discussion surrounding the exact meaning of the word “nagual,” which is derived from nahualli, but scholars of Nahuatl generally agree that it refers to the “animal double,” “outfit,” or “costume” of the sorcerer (Martinez Gonzalez 2007, 103). The nagual, another one of the artist’s animal doubles, here brings to mind the healing shaman. There is in the words “Here is a bone for your lost nagual” a call to restore the spiritual and ontological dimension of art. We have seen that in Cisneros’s writing, there are themes (speech, singing, rage), motifs (the mirror, the nagual, the animal figure, the shaman), and enunciative devices that function like alter egos, creative identities that are constantly metamorphosed, repositioned, and transformed. These processes valorize living speech, territorial anchoring, and an ontological conception of identity. These issues were decisive in the process of self-determination of Indigenous communities in Canada starting in the 1980s. Indeed, the oral tradition, which is omnipresent in Cisneros’s work (Pageot 2010), reappears as a major social issue in Canada at this time. Having long been relegated to “folklore” by colonial societies, a renewed appreciation for the oral tradition in the 1980s was a crucial element in the struggle of Indigenous peoples for self-determination (Brown 2003, 9). Today, not only is it a central identity issue, it takes on a proven economic value: an obvious example is the sustainable alternatives to commercial pharmacology that come from knowledge of medicinal plants (Young-Ing 2008, 62). In art, the 1980s were marked by a re-appropriation of the oral tradition, especially among a whole generation of Anishinaabe artists for whom Norval Morisseau had “led the way” (Philips 2006, 45). In this context, we can posit that the musicality, rhythm, and enunciative elements of Cisneros’s writing can easily be associated with orality as a way of knowing. Moreover, Cisneros’s alter egos suggest a continuity between humans, animals, and cosmic intelligence. Such reciprocal relationships among geographic, biological, symbolic, and spiritual characteristics can be likened to the Indigenous “circular” view of the world: “Knowledge, from an Indigenous perspective, is the relationships one has to ‘all my relations.’ In the Indigenous world, everything is animate and has spirit. ‘All my relations’ refers to relationships with everything in creation” (Leroy Little Bear 2009, 7). Lastly, the terrestrial aspects of alter egos and their ecological consciousness must also be likened to an Indigenous ontology: “I am the environment,” Leroy Little Bear reminds us, citing an elder from the Blackfoot Nation (2009, 10). These epistemological and ontological affinities explain why, despite the Pre-Columbian cultural frameworks and Nahuatl symbolic references that characterize them and that are heterogeneous to the cultural traditions of Canadian First Nations, Cisneros’s work was able to resonate positively in the contemporary Indigenous art environment. In spite of the use of many Pre-Columbian symbolic referents that are little known in Canada, these ontological and spiritual dimensions acted as binding factors, thus explaining Cisneros’s growing reputation in the field of contemporary Indigenous art from the 1970s onward. In fact, Cisneros soon became identified with a movement in Indigenous art that was explicitly trying to heighten the value of the ritual and spiritual dimensions of art, in the manner of other artists of his generation such as Robert Houle, Alex Janvier, and Jane Ash Poitras (Podedworny 1988; Martin 1992). Beyond heterogeneous cultural traditions, the spiritual dimensions of art, the ways of being in relation to the world, and the importance of a relational approach to identity have been unifying agents. Furthermore, this particular conjunction may have favoured the recognition of “complementary agencies” and the development of a “Native consciousness” that led Cisneros to show solidarity with the movement for self-determination of Canada’s Native communities. I use the expression “Native consciousness” in reference to Gayatri Chakravorty Spivak, who suggested that explicitly rallying to a single cause should be considered in terms of “class consciousness,” in other words, a collective identity that would make “strategic use of positivist collectivism”13 (Spivak, 205). Aside from the Native social and political issues mentioned above, the 1970s and 1980s in Canada coincided with another determining factor that may have been favourable to the construction of a “Native consciousness:” the process of recognizing the Métis Nation, a population that had been doubly marginalized (Sealey/Lussier 1975; Harrison 1985). In addition to the blood quantum requirements found elsewhere, as in the United States for instance, the Métis identity in Canada is also based on the principle of self-identification, a subjective recognition of a cultural and hereditary kinship (Harrison 1985, Battiste/Henderson 2000, Farrell Racette 2004). As Ute Lischke and David T. McNab argue, the Métis people’s self-identification is “a result of their own knowledge of their identities, family histories, and communities” (quoted in Kearns 2013, 59). This principle sheds light on the procedural, fluid, and “intersubjective” character of identity (of all identity), as a relational, cognitive and affective experience of self-determination. In Mexico, the term “mestizo” points to a completely different reality. It signals the dream for a national, unified, modern, and post-revolutionary identity that the writings of José Vasconcelos expounded (Cosmic Race, 1925). The idea of a cosmic race is based on a eugenicist and racial approach to identity and aspires to the creation of a great national, political, and cultural union of people with Native and Spanish ancestry (Stepan 1991, Basave 2002, Gutierrez 1998, Navarrete 2005, Schwartz-Marin/Silva-Zolezzo 2010). This national project was meant to have a patriotic and homogenizing effect, and to annihilate in this way the tensions, anxiety, and social divisions that characterized the period after the revolution. This conception of identity could not have been further from the one that the Métis Nation, in Canada, envisioned. Despite his constant refusal to be labelled, Cisneros, along with his alter egos, incarnates an epistemology that is shared in different Indigenous environments. His hiring at Collège Manitou, which led to his systematic sensory exploration of the Quebec boreal forest, was also a determining factor in his identification with the judicial, political, and cultural demands of the Indigenous communities in Canada. His epistemology seems to have found a resonance in the Native communities’ process of empowerment during the 1970s and 1980s in Canada. In contrast to both the tendency toward national homogenization that traditionally underlay the term mestizo in Mexico and the racial prejudice that the term “mixed-blood” carries in the United States, the term “Métis” in Canada is closely associated with a subjective and affective process of self-identification to a group, family, territory, or cultural space. It is this same principle of empowerment that is at the root of Cisneros’s profoundly anti-imperialist position, which he has declared often and with force. The Indigenous Native communities’ call to action, around the time that Cisneros arrived in Canada, proved a fertile ground for him to further develop complementary agencies and to continue the exploration of his own mixed and Indigenous cultural heritage that he had begun in Mexico. The juxtaposition of different levels of consciousness, and the presence of different narrators in his work are processes that follow a cosmogonist vision of writing and of its healing power. Through his writing and artist’s declarations, Cisneros implicitly proposes a conception of identity that does away with the idea of ethnic purity or origin. Instead, he insists on the cultural mixity and on the continuous exchanges that take place between the constitutive and dichotomous relational elements of subjectivity and the environment, including the animal world. His work aims to recover the ecological, spiritual, and ontological dimensions of identity founded on the anchoring in territory and on the actualization of the living word as a mode of knowledge, communication, and transmission. As a place that fosters closeness and that allows the relationship between text and image, the boreal forest is the space in which Cisneros’s thought operates. His work gives nature and fauna a culture and a means of communication, and assigns to them a performative function and an agency. The animals belong to the earth, and not vice versa. They re-territorialize, whereas capitalism, industrialization, and colonization de-territorialize. In this sense, the texts relate to profound redefinitions of the notions of identity and subjectivity, whose definition or contours do not confine to inanimate goods or to the products of human labour. Cisneros’s artist’s writings and stories include images of the self that present themselves in strong and performative ways through animal figures and the shaman’s nagual. Multiple literary methods (the use of “I” and “you,” concision, rhythm, musicality), motifs (the mirror, the animal), and recurring themes (rage, the life/death dichotomy) metaphorically constitute different faces of the artist. The animals incarnate a form of cultural activism, and their stories suggest a new way of ordering knowledge that is based on ancestral methodologies and that implies a transformation of identity. These alter egos underpin an ever-transitory and relational identity that is mediatized and founded on a power of metamorphosis and transformation that draws from the Mesoamerican pantheon and Nahuatl poetry. Moreover, sensory experiences – embedded in walking, hunting, treating animal skins and bones and vegetal materials – provides a way of creating a sense of belonging to the Canadian Laurentian territory. Cisneros’s crafting of transnational identities is best expressed by the combination of Nahuatl rhythms, Mesoamerican oral tradition, and local stories. The embodied experiences and dynamic sensory exploration of the land that are constitutive of Cisneros’s works serve as links between Mexican, Native, and Canadian identities. Basave Benítez, Agustín. México mestizo. 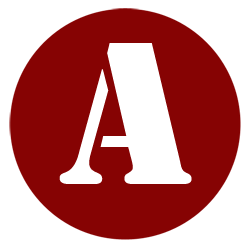 Análisis del nacionalismo mexicano en torno a la mestizofilia de Andrés Molina Enríquez. México: FCE, 2nd Edition, 2002. Print. Battiste, M., & Henderson, J. S. Y. Protecting Indigenous Knowledge and Heritage. Saskatoon, Saskatchewan, Canada: Purich. 2000. Print. Blouin, Anne-Marie. “Laurentian Bestiary” in Cisneros, Domingo. Laurentian Beastiary/ Le bestiaire laurentien.” Thunder Bay, ON: Thunder Bay Art Gallery. A National Centre and Centre for Indian Art, 1988. 14-16. Print. Blynn Campbell, Wanda. “The Zone of Silence Project. Art Adventure: A Celebration of the Desert and the Art.” Natura/Cultura, 1, 1985. 28-30. Print. Brown, Michael. Who Owns Native Culture? Cambridge: Harvard UP, 2003. Print. Derrida, Jacques (in collaboration with Yseult Séverac). Mémoires d’aveugles: L’autoportrait et autres ruines (Memories of the Blind) Paris: Réunion des Musées nationaux, 1990. Print. Foucault, Michel. Les mots et les choses. Une archéologie des sciences humaines. Paris: Éditions Gallimard, 1966. Print. Foxcurran, Robert, Michel Bouchard, Sébastien Malette. Songs Upon the Rivers. The Buried History of the French-Speaking Canadiens and Métis from the Great Lakes and the Mississippi Across the Pacific. Montreal: Baraka Books, 2016. Print. Gravel, Claire. Renaissance. Pierre-Léon and Dana Williams (eds.) New Territories 350/500 Years After. Montreal: Vision Planétaire, 1992. 24-27. Print. Gutierrez, Natividad. “What Indians Say about Mestizos: A Critical View of a Cultural Archetype of Mexican Nationalism.” Bulletin of Latin American Research, 17(3), 1998. 285–301. Print. Harrison, Julia. Metis: People between Two Worlds. Vancouver: Douglas & McIntyre, 1985. Print. Houle, Robert et al. New Works by a New Generation. Regina: Norman Mackenzie Art Gallery, 1982. Print. Kearns, Laura-Lee. “(Re)claiming Métis Women Identities. Three Stories and the Storyteller, Dans Adams, Christopher, Gregg Dahl et Ian Peach.” Métis in Canada. History, Identity, Law &Politics. Edmonton, AB: University of Alberta Press, 2013. 59-91. Print. Launey, Michel. Une grammaire omniprédicative. Essai sur la morphosyntaxe du nahuatl classique. Paris: CNRS, 1994. Print. Levinas, Emmanuel. “Ethics as First Philosophy.” In The Levinas Reader, ed. Oxford: Sean Hand, 1989. Print. Martin, Lee-Ann. Domingo Cisneros. Sky Bones. Saskatoon, SK: Mendel Art Gallery, 1993. McMaster, Gerald, Lee-Ann Martin and Gloria Cranmer Webster et al. eds. “Domingo Cisneros.” Indegena Contemporary Natives Perspectives, Hull, Musée canadien des civilisations/ Canadian Museum of Civilization, 1992. 137-138. Print. Navarrete, Federico. Las Relaciones Interétnicas en México, publicado por el autor en el Programa México Nación Multicultural de la UNAM, México, 2005. Last consulted 2/02/2009, http://enp4.unam.mx/amc/libro_munioz_cota/libro/cap4/lec10_federiconavarreteelmestizaje.pdf Last consulted: 10/01/2016. McAfee, Noelle Claire. Habermas, Kristeva and Citizenship. Ithaca: Cornell UP, 2000. Print. McAfee, Noelle Claire. Subjectivity and Citizenship: Habermas and Kristeva on Agency in the Public Sphere. Ph.D. thesis. The University of Texas at Austin, 1998. Nemiroff, Diana. “Modernisme, nationalisme et au-delà. Regard critique sur l’historique des expositions d’oeuvres des Premières nations.” Terre, Esprit, Pouvoir. Ottawa, ON: Musée des beaux-arts du Canada, 1992. 16-41. Print. Nochlin, Linda. “Gustave Courbet’s Meeting: A Portrait of the Artist as a Wandering Jew.” The Art Bulletin, 49 (3), 1967. 209-222. Print. Osborne, Steve and Norbert Rubsaat. “Cisneros’Deathwatch. Art Form Critical of Society.” Leftwords, 3 (3), 1981. 12-13. Print. Pageot, Édith-Anne. “Le jardin en ville. Le cas des Jardins éphémères à Québec: stratégie marchande et critique postcoloniale.” Globe revue internationale d’études québécoises, 15 (1-2), 2012. 243-263. Print. —-. ”Paroles d’artistes. Domingo Cisneros, une pensée.” Inter, 104, 2010. 14-16. Print. —-. Le project CREAF: détournements et subversions du cabinet de curiosités. Etc, 86, 2009. 28-31. Print. Phillips, Ruth B. “Norval Morrisseau’s Entrance: Negotiating Primitivism, Modernism, and Anishnaabe Tradition.” In Hill, Greg ed. Norval Morrisseau: Shaman Artist. Ottawa: National Gallery of Canada, 2006. 42-77. Print. Podedworny, Carol and Anne-Marie Blouin. Laurentian Bestiary/ Le bestiaire laurentien, Thunder Bay, ON, Thunder Bay Art Gallery, 1988. Print. Racette, Sherry Farrell. Sewing Ourselves Together: Clothing, Decorative Arts and the Expression of Metis and Half-Breed Identity, PhD. diss., University of Manitoba, 2004. Print. Saurin, Patrick. La fleur, Le chant. In xochitl in cuicatl. La poésie au temps des Aztèques. Aubenas d’Ardèche: Jérôme Million, 2003. Print. Sioui Durand, Guy. “Surrounding Hochelaga: If Trees Could Change Things.” In Tetreault, Pierre-Léon and Dana Williams eds. New Territories 350/500 Years After. Montreal: Vision Planétaire, 1992. 28-32. Print. Schwartz-Marin, Ernesto and Silva-Zolezzo, Irma. “The Map of the Mexican’s Genome”: overlapping national identity, and population genomics, 2010. DOI 10.1007/s12394-010-0074-7. Sealey, Bruce and Antoine Lussier. The Métis: Canada’s Forgotten People. Winnipeg, MA: MB Pemmican, 1975. Print. Spivak, Gayatri. En d’autres mondes en d’autres mots. Traduit de l’anglais par Françoise Bouillot. Paris: Éditions Payot et Rivages, 2009. Print. Stepan, Nancy Leys. The Hour of Eugenics. Race, Gender and Nation in Latin America. Ithaca, NY: Cornell UP,  (1996). Print. Vasconcelos, Jose. La Raza Cosmica. Mision de la raza iberoamericana.Notas de viajes a la America del sur. 1925. Available online: http://www.filosofia.org/aut/001/razacos.htm, last consulted 15/05/2014. Young-Ing, Greg. “Conflicts, Discourse, Negotiations and Proposed Solutions Regarding Transformations of Traditional Knowledge.” In Hulan, Renée and Renate Eigenbrod. Aboriginal oral Traditions. Theory, Practice, Ethics. Halifax and Winnipeg: Fernwood Publishing, Gorsebrook Research Institute, 2008. 61-78. Print. Cisneros, Domingo. “Lac Boivin.” In Alain, Danyèle, Jacqueline Bouchard, Wanda B.
Campbell, Domingo Cisneros, Luc Lévesque, Sonia Pelletier. L’art et l’eau, rencontre continentale. Granby : Haut 3e Impérial Centre d’essais en arts visuels, 1995. Print. Cisneros, Domingo. Le bestiaire laurentien. L’Annonciation: Les Précambriens, 1995. Print. Cisneros, Domingo. “Sky Bones.” In Marie Fraser. Seconde nature: La sculpture qui se fait, Baie-Saint-Paul. Québec: Centre d’exposition de Baie-Saint-Paul, 1995. Print. Cisneros, Domingo. “Artists Statement.” In Meszaros, Cheryl Artists in School. Saskatoon: Mendel Art Gallery, 1993. 10-13. Print. Cisneros, Domingo. Ingebjorg Astrup, Egil Martin Kurdol, Luisella Carretta, et al. Present. Lillehammer, Norway: LOO, 1993. Print. Cisneros, Domingo. “On the Trail.” Third Text. Third World Perspectives on Contemporary Art & Culture 21, 1992-1993. 80-82. Print. Cisneros, Domingo. “À Madame la Ministre des Affaires culturelles du Québec.” Etc Montréal, 17, 25. 1992. Print. Cisneros, Domingo.”Déclaration d’artiste.” In McMaster, Gerald, Lee-Ann Martin, Gloria Cranmer Webster et al. Indigena: Perspectives autochtones contemporaines. Hull, Québec: Musée canadien des civilisations/ Canadian Museum of Civilization, 1992. Print. Cisneros, Domingo. Oka the Trails. Ottawa: SAW News. May-June, 1991. Print. Cisneros, Domingo.”Déclaration d’artiste.” In Gosselin, Claude. Art contemporain 1990 : Savoir-vivre, savoir-faire, savoir-être. Montréal : Centre International d’art contemporain, 1990. 10. Print. Cisneros, Domingo. et al. Écart : Art Aventure. La Macaza, Québec : Boréal Multimédia. 1990. Print. Cisneros, Domingo. “Déclaration d’artiste” Lublin, Poland: Labirynth 2. 1989. Print. Cisneros, Domingo. “Les lieux sauvages”. Urgences, 17-18, 1987. 19-27. Print. Cisneros, Domingo. Campbell, Wanda B., Panet-Raymond, Silvy et al. La Zona del Silencio: Art Adventure: Une célébration des arts du désert. Québec: Les Éditions Intervention, 1985. Cisneros, Domingo. “Déclaration d’artiste. ” Alma, Qc : Langage Plus, 1982. Print. Cisneros, Domingo. Deathwatch, La Vigilia, Veillée de la mort. Vancouver: The Charles H. Scott Gallery, Emily Carr College of Art, 1981. Print.